吉田新田ヨリ土手大木戸通吉田橋東橋つめ迄で見渡弁天町土手下生渕沼を見る図なり, or, Town Scene | Flickr - Photo Sharing! 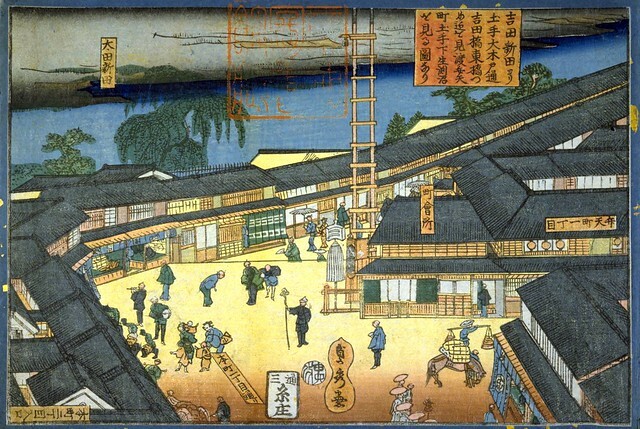 Edited National Diet Library of Japan ukiyo-e print of a scene in a town in Edo-era Japan. d5eel_allah and 黃佳惠 added this photo to their favorites. Did you type that in?!? !